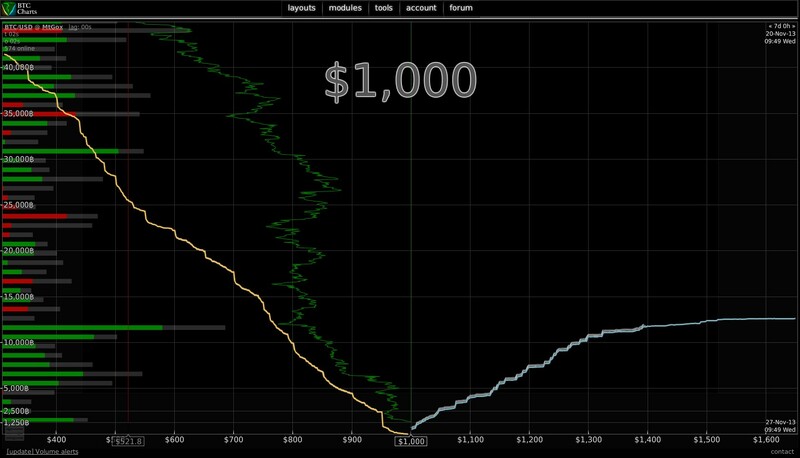 There we are, bitcoins reached the 1000$/btc bar. We are living history. The price of 1mBTC is 1$ now. I don't know what to think anymore. I've been following bitcoins since they were bellow 20$. Reading everything on /r/bitcoin and HN. I would never have imagined that.